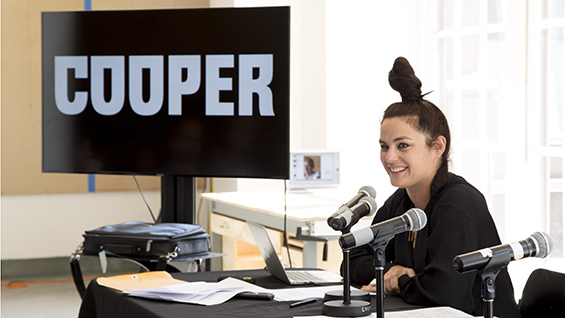 Storefront for Art and Architecture Director and current Cooper Union Thesis Studio Professor, Eva Franch i Gilabert has been selected as the next Director of the Architectural Association in London. Of the 876 votes cast within the AA community, Ms. Franch i Gilabert received an astounding 67% of votes – the highest majority in a contested election at the AA since 1990. For this position, she ran against Pippo Ciorra, the Senior Curator of MAXXI Architecture in Rome, as well as Robert Mull, Head of Architecture and Design at the University of Brighton. The Cooper Union community sincerely thanks Eva for her time spent with our students and wishes her all the best in her future endeavors.